Looking for a Used Terrain in your area? CarGurus has 33,507 nationwide Terrain listings starting at $3,995. GMC’s latest addition to its compact crossover lineup, the 2010 GMC Terrain, is expected to go on the market in the late summer of ’09. The new Terrain is a five-passenger, five-door crossover SUV that will be available in either front-wheel drive (FWD) or all-wheel drive (AWD) configurations. The 2010 Terrain is billed as the replacement for the Pontiac Torrent and GMC Envoy, and is indicative of GM’s commitment to provide alternatives to the fuel-guzzling full-size SUVs that are distinctly losing popularity. Two engines are available with the 2010 Terrain, a fuel-miserly 2.4-liter direct-injected inline four-cylinder (I4), and a 3.0-liter DOHC V6. A six-speed automatic transmission is mated with either engine. The direct-injected 2.4-liter I4 is capable of 182 hp and 174 lb-ft of torque, while estimated to achieve an average 30 mpg, helped by the rack-mounted electric power steering system. This system is touted by GM as able to save some 11 miles from each tank of gas. The available 3.0-liter V6, meanwhile, will churn out 254 hp and 222 lb-ft of torque. Mileage figures are not yet available for the V6. The 2010 Terrain AWD will come equipped with the full-time Intelligent AWD system. Appearance-wise, the 2010 GMC Terrain closely resembles Chevy’s Equinox, and each shares, along with the 2010 Cadillac SRX, GM’s updated and much-ballyhooed Theta architecture. A markedly raked windshield will somewhat mitigate the 2010 Terrain’s boxy outline, and it’ll roll on standard 17-inch aluminum wheels, with 18- and 19-inch aluminum wheels as options. Standard comfort and convenience features will abound on the 2010 GMC Terrain, including Multiplex sliding rear seats that will give rear-seat passengers a class-leading 41 inches of legroom, with the ability to be folded flat for some 64 cubic feet of cargo space. Additional standard features include a rear backup camera system, USB audio connectivity, power heated outside mirrors, a power-adjustable driver’s lumbar support, six-speaker audio, one year of OnStar service, and Sirius/XM satellite radio. Options for the 2010 Terrain are slated to include Bluetooth hands-free communications technology, Intelligent AWD, an eight-way power driver’s seat with memory, heated front seats, leather-appointed upholstery, remote start, a power sunroof, DVD-based navigation, and rear-seat DVD entertainment, with two screens. Safety features expected to be standard on the 2010 Terrain include four-wheel disc ABS with electronic brakeforce distribution, traction and stability control, six airbags, fog/driving lights, and the OnStar post-collision safety system. 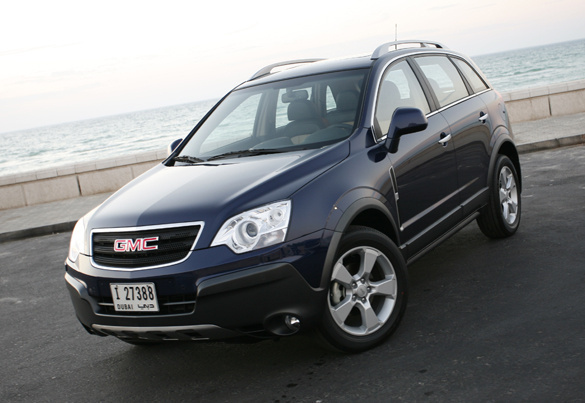 What's your take on the 2010 GMC Terrain? tigair Male, 6'4'', 250 lbs. I fit in the Terrain very well. I sat in many vehicles to find the comfortable fit of this crossover. 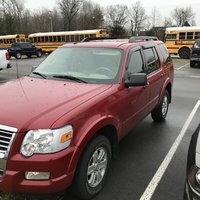 Even a full size Chevy Tahoe didn't work; while seated my sightlines were at the top of the windshield. My second favorite thing about it are the looks. Everything else about it is just fine also. 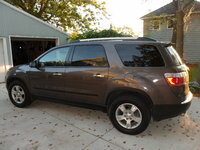 Users ranked 2010 GMC Terrain against other cars which they drove/owned. Each ranking was based on 9 categories. Here is the summary of top rankings. Have you driven a 2010 GMC Terrain?